The exclusive Maax Palace C combination air and whirlpool jetted tub offers stylish curves, a deep bathing well and ergonomic design to bring you the ultimate dual therapy spa bath experience. 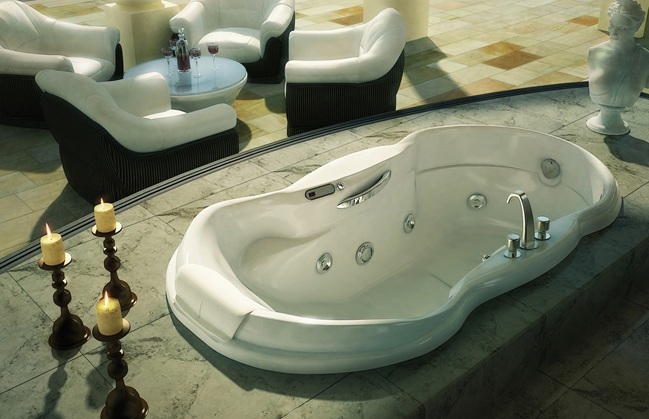 The beautiful curves of the Palace combination air and whirlpool tub will enhance any bathroom décor. Includes Hydromax with Backmax jet system and Aerofeel air jet system. Call 800-720-1062 for more details.